Jeannie ~Rayne~ Redicker is a daughter, wife, mother and grandmother. 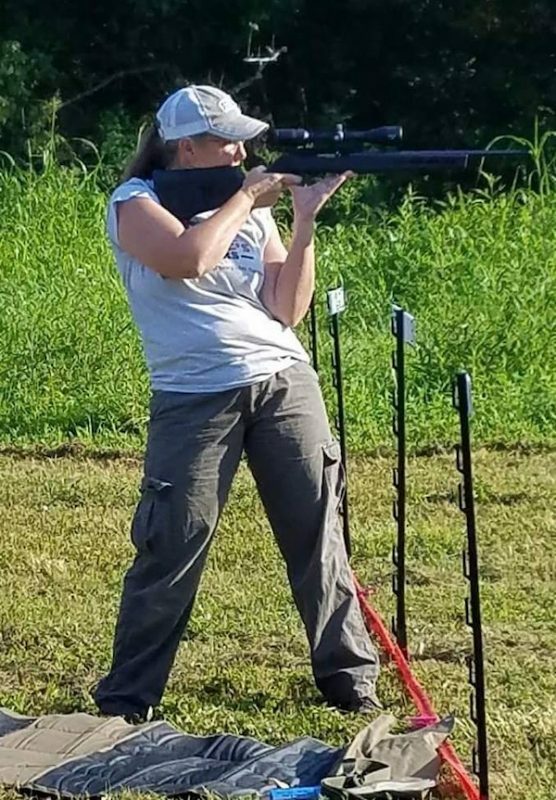 Hailing from the fertile fields of Jackson County, Indiana, where when Redicker isn’t working, she is volunteering with the local fire department and coaching the Jackson County’s 4-H Rifle program. Redicker and her husband, Ray, crop farm and raise hogs while corralling the occasional grandchild. They also care for Ray’s elderly mother and Jeannie’s father, Joe, a Marine veteran of World War II’s Pacific Theater, who is keenly proud of his little girl’s competency with an M1 Garand. Jeannie may live in Indiana, but she is a native Kentuckian, where she returns every year to win the Dewar Match at the Bluegrass State Games as a warm up to the National Matches at Camp Perry, Ohio where she was the 2018 Women’s T-Class National Champion. Redicker holds instructor certificates in rifle, pistol, carbine and is a RSO. So, if you want to be instructed by a pie-baking national champion granny, here is your chance. 1-day Battle Road Biathlon event at The Bedford Contingent near Bedford, IN.